Warfarin dosing at Vanderbilt University Medical Center just got safer and more effective. Clinical information systems at VUMC now use patients’ genetic data to help calculate initial-dose recommendations for this commonly prescribed anticoagulant drug. Getting too much or too little warfarin can pose dangerous consequences. Originally developed as a pesticide for rats and mice, warfarin is an anticoagulant that has been used in humans since the 1950s to prevent and treat blood clots. Get too little and you risk blood vessel blockage (embolism) that can cause heart attack or stroke; get too much and you risk bleeding, including brain hemorrhage. People genetically disposed to be warfarin super-responders have greater risk for major bleeding when starting the drug. “By adding genetic information to our dosing calculations, we estimate we can significantly improve initial doses for approximately one in 13 patients who receive the drug,” said Josh Denny, M.D., M.S., assistant professor of Biomedical Informatics and Medicine. Those 1-in-13 odds reflect the frequency in the general population of certain common genetic variants known to influence warfarin response. According to Denny, one in 13 people at VUMC who are genotyped before receiving warfarin stand to get an initial-dose recommendation that differs by 20 percent or more from the dose recommendation they would have received if their genetic data were not taken into account in the dosing calculation. In addition to using the patient’s genotype, the new warfarin adviser (built into VUMC hospital and clinic medication ordering systems) uses age, gender, weight, height and other key interacting medications the patient may be taking. “Studies suggest that use of this joint algorithm with clinical and genetic factors will change dosing for about one in six people over the standard starting dose,” Denny said. This is the latest chapter in VUMC’s bold investment in personalized medicine, an investment that so far remains unmatched by any other institution. 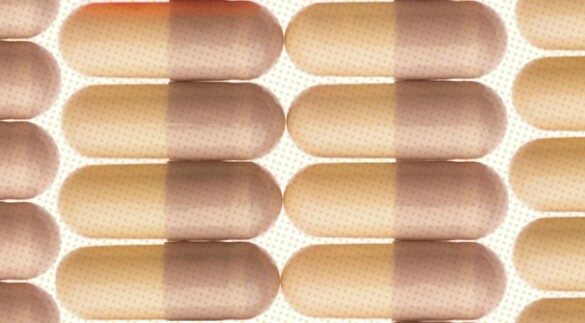 Under a program launched in selected clinics in late 2011, a computer program scans electronic medical records to forecast each patient’s risk, over a three-year horizon, of receiving certain drugs that pose known gene-drug interactions. When the risk surpasses a threshold, the patient’s provider receives an automated alert suggesting that he or she order a PREDICT/PDX test. This test uses a small blood sample to look at 184 common genetic variants (single-nucleotide polymorphisms) collectively implicated in a host of known and suspected gene-drug interactions. With these test results available in the system, as providers use information systems in the hospital or clinic to write prescriptions, they receive alerts when a patient’s genotype suggests an alternate dose or drug. Warfarin is the third drug to be added to this program. The others are the anti-cholesterol drug simvastatin and the anti-platelet drug clopidogrel. “This isn’t about any one medicine. It’s about showing that, by testing prospectively, we can avoid a range of therapeutic delays and mishaps,” said Jim Jirjis, M.D., MBA, assistant chief medical officer and the physician lead for implementation of PREDICT (Pharmacogenomic Resource for Enhanced Decisions in Care and Treatment). Other gene-drug interactions now being considered for testing involve the cancer drug tamoxifen and two immunosuppressives, azathioprine and tacrolimus. For now, Vanderbilt provides the PREDICT/PDX test at no cost to patients. More than 9,400 patients have been tested. Any VUMC prescriber may order the test, but use of those automated prompts to prescribers to order prospective testing (based on patient risk for receiving one of the three drugs) is currently limited to four outpatient areas: cardiology, diabetes, primary care and nephrology. Warfarin patients continue to benefit from the support of the Anticoagulation Clinic, where nurses and a pharmacist gather and monitor anticoagulation test results and work with patients to ensure that warfarin dosages stay in a safe and effective range. For more information call the PREDICT hotline at 875-4363 or email predict@vanderbilt.edu.